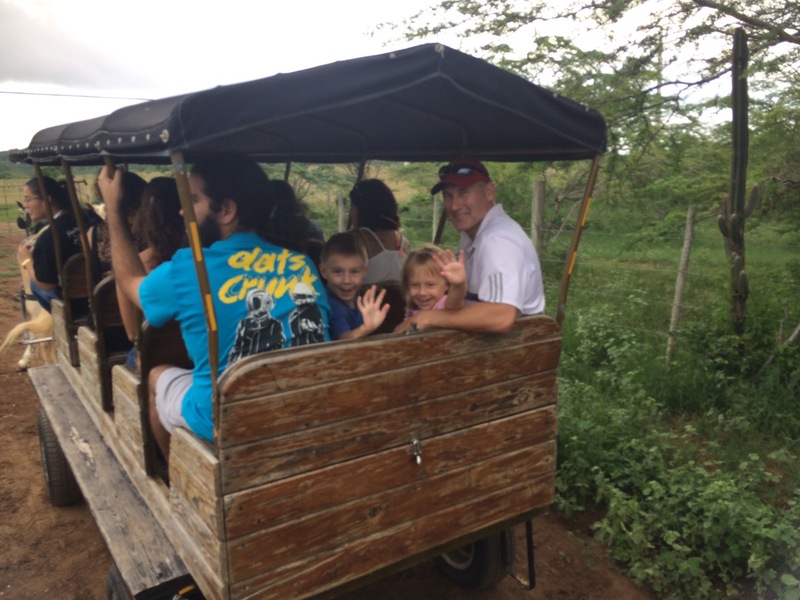 Our friends organized a horse ride for a small group of us in Cabo Rojo. What a great idea and something we wouldn’t have done by ourselves! The whole wagon was full of friends from school. 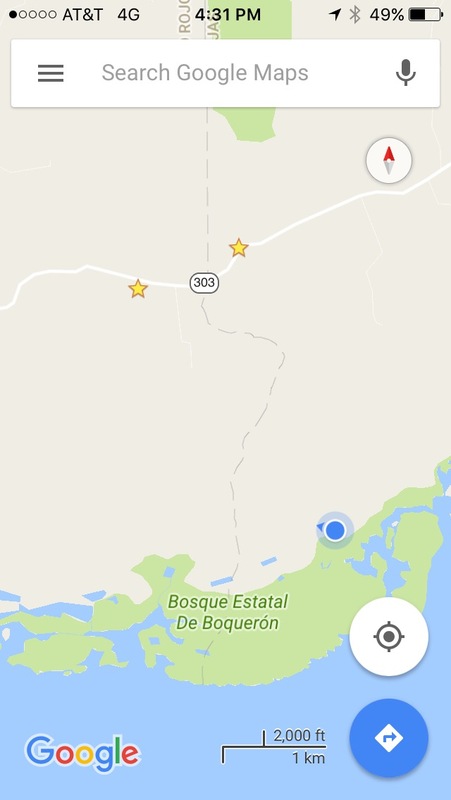 On the map above, the star on the upper left is the farm and that blue dot was where we were halfway thru the trek. Gracias mother earth for nice weather. Breezes and a bright overcast sky. Excellent considering the trail wasn’t shady at all. 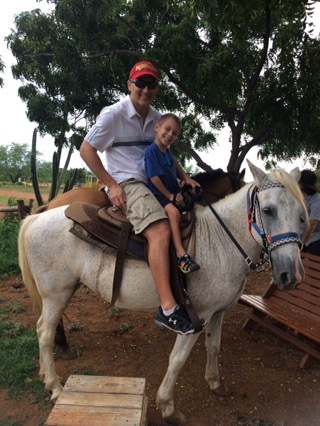 Trevor rode the horse for the second half of the tour, and my son joined him for about 100 meters once back at camp. The saddle squished him but he liked it. 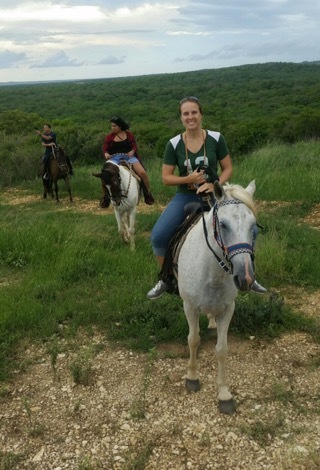 I figured I’d represent the Packers while I channeled my inner ranch girl. Beautiful panoramic views illustrated Puerto Rico’s natural beauty. It was simply delightful to saunter on the horse behind the wagon. The horse riders mostly rode in a comfortable, contemplative silence and my soul soaked it in. 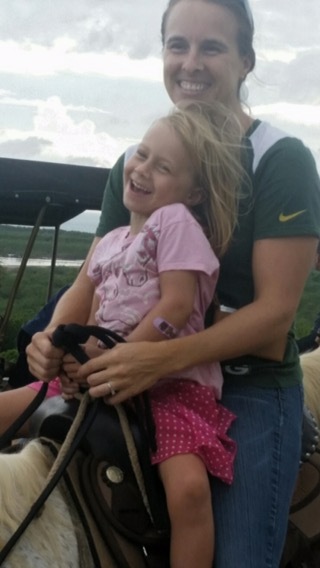 My girl and I on the horse named Rusio. She road with me a quarter mile until her squished hips and legs couldn’t take it anymore. This saddle was definitely made for one cowgirl at a time. 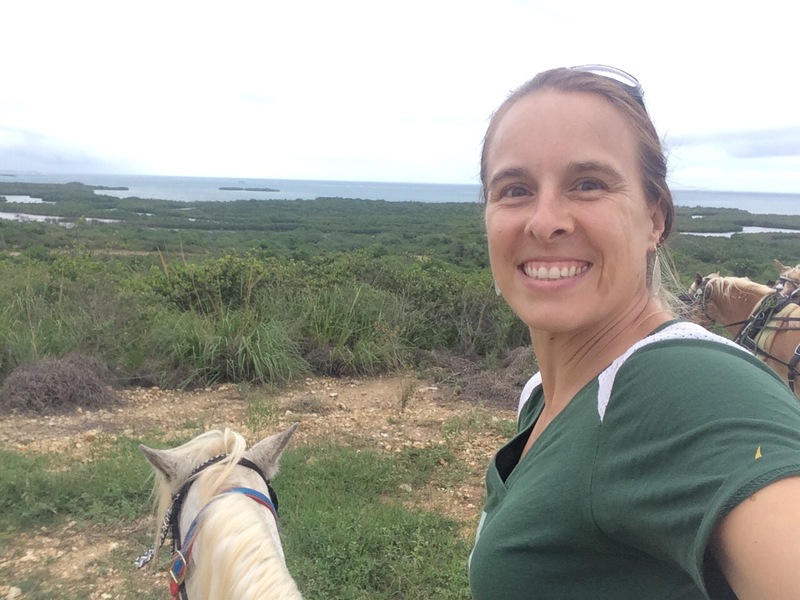 This entry was posted in Uncategorized and tagged cabo rojo, horseback riding, horses, paraiso. Bookmark the permalink. That looks like a lot of fun for the family!